How do you take your coffee? Torani is my ultimate go-to for coffee and specialty beverage fixings. With an unlimited amount of flavours you can change it up every single day! Mix one or two different syrups to create new great tasting flavours (ummm have you tried Almond + Coconut? Almond Joy!) add a little sauce and sweet stuff on top. Yum! Some of my favs above include the Almond syrup. I am absolutely in love with sweet almond oil, so anything almond or nutty will do the trick for me. They have every single nut flavouring too like macadamia nut, hello Hawaii! I just gotta find their Belgian Cookie flavour! And chocolate chip cookie dough? The flavours are truly endless. Another fav is Coconut, you seriously can’t go wrong with Coconut anything. Coconut lattes are legit my favourite and now I can make them at home! Eeee! Toasted Marshmallown is a new one for me, I feel like it’ll taste like s’mores so just had to try it! 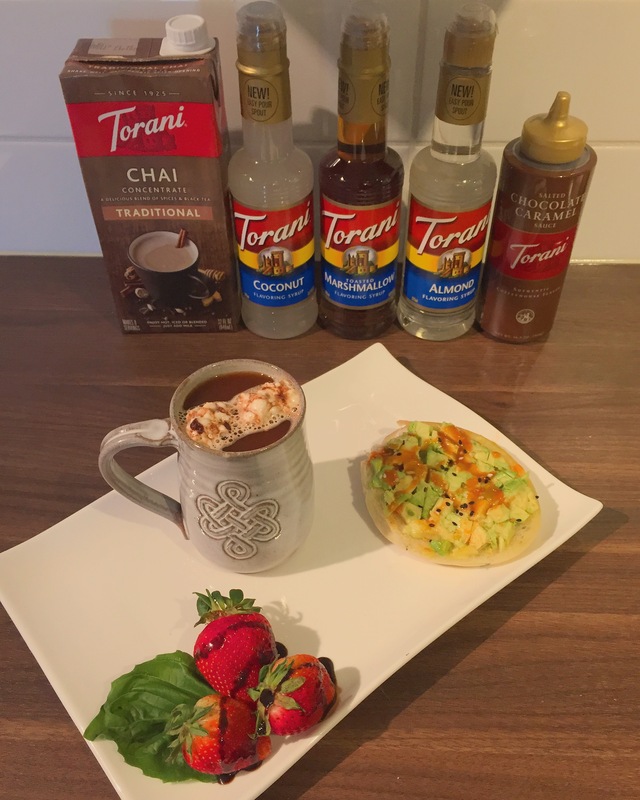 Torani also makes Chai concentrates, because why stop at syrups? You can get their regular or spicy mix, both so good! Plus they also have sauces! I like the basic chocolate caramel, perfect in my coffee drinks, and great on ice cream and berries too! Yum! Don’t forget their syrups aren’t just for coffee drinks, try them with your cocktails! Maybe the guava or mojito syrup with a little gin and soda? Delicious!